Swimming is really a sport for all ages. It helps young people to tone their muscles and grow healthy and powerful. For the elderly, there's no better way to exercise than obtaining a Zambia Swimming Pool to escape from daily routine. Not all countries are the exact same, and swimming rules and regulations are changing from one country to the other. So, if this is your first time seeking for Zambia Pools, make sure you call the premises before you drop by. Please use the make contact with information provided at every pool profile to check if they are offering aquagym lessons, because is not so normal to determine an Aquagym in Zambia. Regular users of the following Zambia Pools told us probably the most important thing about swimming is usually to manage your breathing. Sometimes this is not possible because we raise the neck to breathe and the body is not aligned. To avoid this, our head should be aligned with our spine all the time. Do you know of any Pools in Spain that must be listed here? Contact us!. 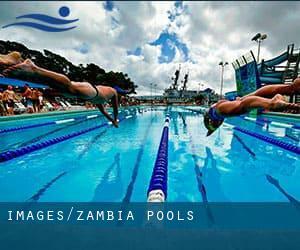 Swimia.com has the most up-to-date database on the net about nearly any Zambia Swimming Pool. Classified by countries, regions and cities, it can be easy to find the nearest pool at the places you visit. For Zambia, you could have a look at the pools we have gathered for you. One of the benefits of outdoor swimming in Zambia is the possibility to sunbathe throughout the summer season. Taking it with extra care, sunbathing is healthy due to the fact introduces Vitamin D into the body, so the right option seems to be switching between indoor and outdoor pools depending on the season. Without a shadow of a doubt, swimming in Kitwe could be the best approach to unwind following work. Take a couple of minutes to browse Swimia's catalog to find a Swimming Pool in Kitwe. Let us tell you a secret to switch off while you are in Kabwe: just choose a Pool in Kabwe and plunge into the water! There's no additional effective approach. Whereas Ndola is one of the six most populous cities in Zambia with nearly 394.518 residents, you shouldn't miss that one if you're going to Zambia. Holding an estimated population of 1.267.440, Lusaka is one of the most important cities in Zambia. Check all the Pool in Lusaka and its surrounding area. It's difficult to visit Zambia devoid of dropping by Chingola (with 148.564 residents). Currently Swimia is showing you all the Pool in Chingola and the closest pools located in its vicinity. Swimming is usually a wonderful thought to keep your body active for the duration of your visit to Mufulira (Zambia), or perhaps if you are a local. Swimia helps you to find your closest Pool in Mufulira. 200 metres off Nangwenya Road , Lusaka . Among all of the activities offered by the centre, in case you are thinking about swimming you will delight in Olympic size x 25 meters, Outdoors. Just in case you want to contact this Swimming Pool before dropping by, we only know the phone number. Haile Selassie Avenue , Lusaka . This sports centre delivers 25 meters, Outdoors. Contact knowledge for this Swimming Pool such as phone number and e-mail address are number.